Newcastle United F.C. won only two points from three games in February (0-2-1 2-7), but the Magpies showed good football in most of their games at "St. James' Park" this season (5-4-3 18-17) and now they will play against an opponent, whose results away from home this season are far from good. Aston Villa F.C. is without a win in the league since the beginning of December, as the visitors lost eight of their eleven games since then, with only three draws in this period (0-3-8). 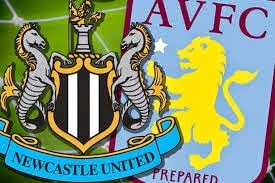 The hosts have won four of the last five games between these two teams in Newcastle (4-1-0 12-2) and considering the current situation, I think, that Newcastle United F.C. is the team with better chances to win three points from this clash.